Distinguished. It is a term that represents the outstanding contributions of so many Clarke alumni in their work and community. 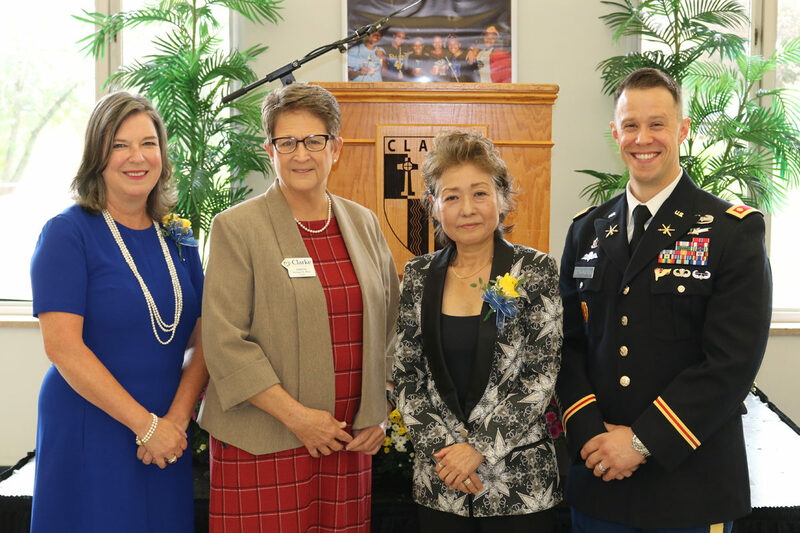 Each year, the Clarke Alumni Association recognizes alumni for personal, professional and humanitarian achievements by bestowing Distinguished Alumni Awards. Do you know someone who is deserving of any of these awards? Nominate them today! Presented for outstanding professional achievement and success. Presented for exceptional service to humanity through civic, faith-based or educational endeavors. Presented for alumni 35 years of age and younger who have made an impact in their career, community or contributions to Clarke. The Clarke University Athletics Hall of Fame was formed to recognize student-athletes, coaches and contributors who have demonstrated extraordinary performances and achievements in athletics. Nominees must have graduated from Clarke, participated as a varsity athlete for a minimum of two years, and have demonstrated outstanding athletic achievement. Student-athletes become eligible for induction beginning seven years after graduation. Nominees must have a minimum of three years of varsity coaching experience at Clarke. Nominees must have contributed significantly and consistently to the University’s athletics program. The nomination deadline is May 15. Nominations are accepted throughout the year; however, any nominations received after the May deadline will be included for consideration the following year. The Hall of Fame induction takes place during Homecoming Weekend each year. Presented occasionally and only by special request of the President, this award is given in grateful appreciation for outstanding service to Clarke University.